Dozens of actors, musicians, sports personalities and other distinguished guests donated their time on September 11th to honor the memories of those who lost their lives on 9/11 by raising more than $12 million for charities around the world. 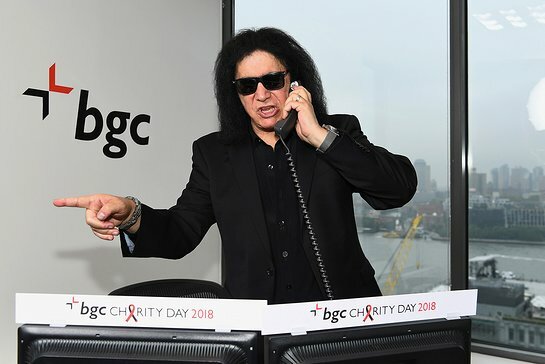 This special event, called Charity Day, is hosted each year by BGC Partners, Inc., a leading global brokerage company servicing the financial and real estate markets, and its affiliates Cantor Fitzgerald and GFI Group. Celebrities who attended the event included Matthew McConaughey, Common, and Liev Schreiber in New York, and Nicole Scherzinger, Tom Hardy and Jimmy Carr in London. In addition to the millions of dollars raised for many worthy causes, BGC Partners, Cantor Fitzgerald and GFI Group announced they are raising $5 million for the families severely impacted by Hurricanes Maria and Jose in Puerto Rico. These funds will be raised over the next several months and prepaid $1000 American Express cash cards will be distributed to 5,000 families in January 2019. BGC, Cantor Fitzgerald and GFI Group donate 100 percent of the global revenues generated on Charity Day, which has raised approximately $159 million globally since its inception in 2005. Held in commemoration of the 658 Cantor employees and 61 Eurobrokers employees lost in the 9/11 World Trade Center attacks, Charity Day, in conjunction with the Cantor Fitzgerald Relief Fund, has expanded its mission to assist charitable causes worldwide. Distinguished guests representing participating charities joined licensed brokers on the trading floors to conduct transactions with clients. In London, BGC’s charity ambassadors included actors and musicians Nicole Scherzinger, Tom Hardy, Martin Clunes, Debra Stephenson, and Olly Murs. Also in attendance were the Duchess of York, Sarah Ferguson, Countess of Wessex, Sophie Wessex; sports stars John Terry, Ryan Giggs, Harry Redknapp, Frank Bruno & Steve Davis and comedian Jimmy Carr. At BGC’s New York office, celebrity guests included actors, musicians, athletes and other public figures: Matthew McConaughey, Bobby Cannavale, Demi-Leigh Nel-Peters (Miss Universe), Sarah Rose Summers (Miss USA), Spencer Dinwiddie, Justin Tuck, Gerry Cooney, Dwight Gooden, Liev Schreiber, Dascha Polanco, Marty St. Louis, Erik Coleman, Marty Lyons, Victor Cruz, Amani Toomer, Gracie Carvalho, Gene Simmons, Chris Cuomo, Neve Campbell, Josh Lucas, Harry Carson, Wendy Williams, Lucy Hale, Common, Ted Allen, Lorraine Bracco, Edgardo Alfonso, Walt Frazier, Calvin Johnson, Billy Crudup, Willie Colon, Chris Johnson, Jim Leyritz, Henrik Lundqvist, Nick Mangold, Darryl McDaniels, Dr. Ruth Westheimer.